Welcome to Best Clowns in Town, home of Petey the Clown and her friends. Best Clowns is dedicated to providing the best-looking, best-trained clowns with the highest professional standards. 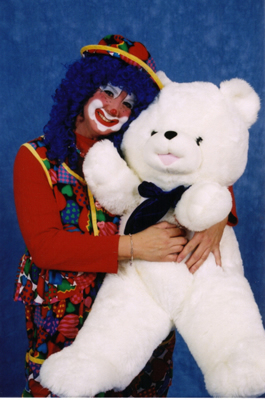 All of our clowns are warm, loving, and caring professionals. You will never have to worry about inappropriate remarks or attire. We are rated G for all audiences (that's "E for Everyone" for you gamers)! We invite you to fill out our Information Request if you are ready to book an event or if you are just interested in more information.